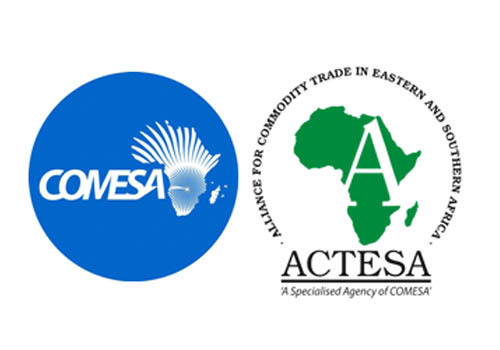 COMESA through its Specialised Agency of the Alliance for Commodity Trade in Eastern and Southern Africa (ACTESA) participated in Regional Expert Review of the Access to Seed Index (ASI) for Eastern and Southern Africa (ESA) region which was held on 12th October, 2017, Johannesburg, South Africa. The Access to Seeds Index (ASI) is built around the understanding that the seed industry can play a vital role in addressing global food security challenges in line with the Sustainable Development Goals (SDGs) as adopted by the United Nations in 2015 on food security. 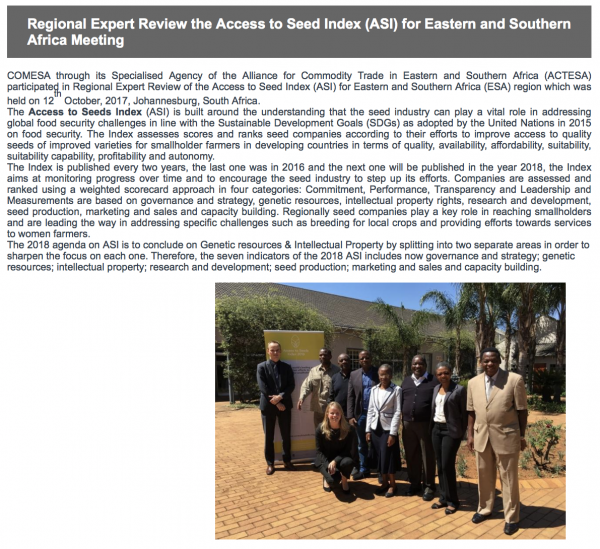 The Index assesses scores and ranks seed companies according to their efforts to improve access to quality seeds of improved varieties for smallholder farmers in developing countries in terms of quality, availability, affordability, suitability, suitability capability, profitability and autonomy. The Index is published every two years, the last one was in 2016 and the next one will be published in the year 2018, the Index aims at monitoring progress over time and to encourage the seed industry to step up its efforts. Companies are assessed and ranked using a weighted scorecard approach in four categories: Commitment, Performance, Transparency and Leadership and Measurements are based on governance and strategy, genetic resources, intellectual property rights, research and development, seed production, marketing and sales and capacity building. Regionally seed companies play a key role in reaching smallholders and are leading the way in addressing specific challenges such as breeding for local crops and providing efforts towards services to women farmers. The 2018 agenda on ASI is to conclude on Genetic resources & Intellectual Property by splitting into two separate areas in order to sharpen the focus on each one. Therefore, the seven indicators of the 2018 ASI includes now governance and strategy; genetic resources; intellectual property; research and development; seed production; marketing and sales and capacity building.